Church of St. Peter and St. Paul, Bleadon, North Somerset, England, UK. Our Parish Church is centrally situated in a parish including both country and urban settlement. Christian worship has been celebrated for over seven hundred years here. The building is a Grade 1 listed structure and we welcome visitors to our services: perhaps just to take a “look around”. 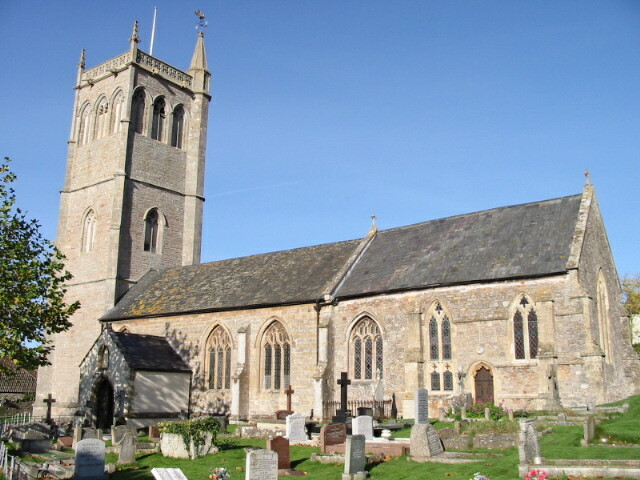 The Church is open for visitors every weekday throughout the year. Our Sunday worship reflects the “middle ground” of Anglican practice with the Eucharist being the main service. Nevertheless a variety of alternative forms of devotion are performed. Please see “Church Services” for details. You are invited to join the Friends of the Church who arrange a varied selection of events throughout the year thus raising funds towards Church expenditure. The Church has now also developed it's own website where you will find a copy of the church pages from this site and latest information on services, church contacts etc.